Amazon announced this morning in a blog post that Apple Music will become available through Amazon Alexa beginning the week of December 17, 2018. Apple Music subscribers will be able to link their account within the Alexa app to listen to songs through Amazon Echo and other Alexa-enabled devices. In addition to access to a catalog of 50 million songs, users will also have access to playlists and radio stations curated within Apple Music. The Beats 1 global live stream radio station will also be accessible. The post points out that music is among the most popular features on Alexa. Voicebot data confirms this for smart speaker use cases. It is the second most tried feature on smart speakers and the most popular activity on a monthly and weekly basis. A report by the Reuters Institute for the study of journalism corroborated this finding in the U.K. and went a bit further. It found that music listening was about 10 times more likely to be the highest valued feature of smart speaker owners than other use cases. However, music listening is not a frequent use case for voice assistants on smartphones as Voicebot reported out in our recent Voice Assistant Consumer Adoption Report. Whereas 76.2% of smart speaker owners listened to music through the devices on monthly basis and 41.9% on a daily basis, voice assistants were only used on smartphones to access music at a rate of 20.7% and 8.3% on a monthly and daily frequency respectively. This disparity of use case frequency on smart speakers and voice assistants on smartphones creates an issue for Apple. It is the leading voice assistant on smartphones, but few users are accessing music through Siri. When it comes to smart speakers where music listening is most frequent, Apple HomePod only commands 4.5% market share in the U.S. and likely much lower in other countries. That means Apple doesn’t have broad distribution on the fastest growing device channel for music listening. It’s an issue for Apple Music subscriber growth. The absence on popular smart speaker platforms could also lead Alexa aficionados to abandon Apple Music in favor of Spotify or Amazon Music Unlimited. Amazon Alexa offers immediate access to a smart speaker user base that is about 15 times larger than HomePod. Will All of the Features be There? It is an open question whether all of the features that users get on Apple Music on HomePod will be available through Alexa. It is also unclear whether the voice commands for Apple Music will be as extensive as what Amazon Music Unlimited provides on the platform. 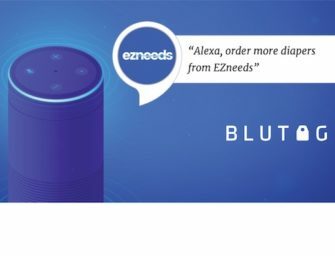 However, this seems like a win for Amazon as it offers something unique that is not currently available to Google Home users and adds another important partner to its platform, just in time for Christmas. You can read the full blog post by Amazon here.